SIMFEROPOL, November 25. /TASS/. 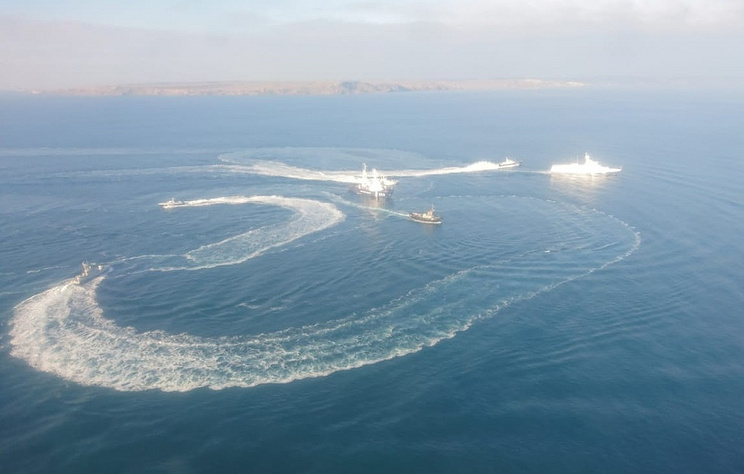 Three Ukrainian warships have illegally crossed Russia’s state border entering its territorial waters, and are carrying out dangerous maneuvers, the Federal Security Service’s Border Service in Crimea said on Sunday. "This morning at around 7:00 a.m. Moscow Time three ships of Ukraine’s Navy violated Articles 19 and 21 of the United Nations Convention on the Law of the Sea, which define the right of a coastal state to ensure maritime security, crossed the Russian state border and illegally entered the temporarily closed waters of the Russian territorial sea," the statement said. The Ukrainian warships are conducting dangerous maneuvers and are failing to meet the requirements, the Federal Security Service’s Border Department in Crimea said. "Until now the requests have not been sent in due order, the vessels have not been included in the schedule of passage. The vessels are carrying out dangerous maneuvers and are disobeying the Russian authorities’ demands," the statement said. The Border Service is taking all steps to ensure security of navigation and regulation of maritime traffic in the waters of the Black Sea and the Sea of Azov and the Kerch Strait.